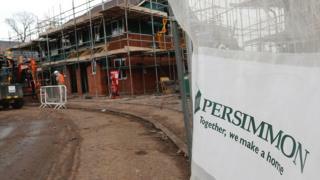 Housebuilder Persimmon has confirmed plans to build nearly 250 homes in Erskine, Renfrewshire. The company said it would invest £60m in a 27-acre site after finalising a land deal with the owners of Erskine Bridge Hotel. Persimmon added that the development would create more than 1,000 direct and indirect jobs. Subject to planning approval, construction work will start on up to 246 homes in the spring. Persimmon Homes West Scotland managing director Doug Law said: "This particular development will bring much-needed new homes for local people and commuters in an area which has already been identified as appropriate for residential development. "Significant revisions have been made to our original plans taking into account feedback from the local authority and local people following our consultation event." The development, to be named Riverbank, will feature more than 20 house styles, ranging from two-bedroom bungalows to four-bedroom detached properties.